Maximum Movers main goal is to provide the very finest in every aspect of moving and sometimes this involves a need for storage. Whether you need in house storage while you are making your move or you require more long term, secure storage for your belongings in our easily accessed facility, we have the right answer for you. You can count on your possessions to be housed in a safe environment which guards against not only theft, but also weather related issues, in a climate controlled environment, and we are sure to treat your important items as our very own, with care and respect. For in house storage, Maximum Movers can provide any packing materials you might need or do the job for you to ensure against any damage or loss. 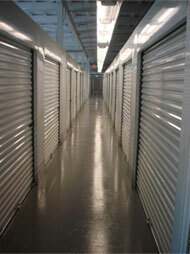 At Maximum Movers our customers and their belongings are always Number One!